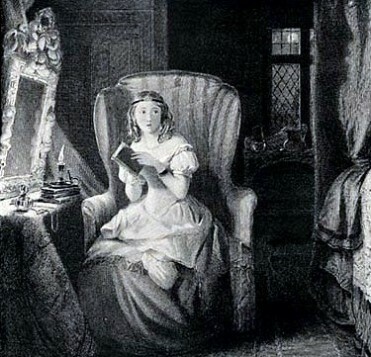 In Northanger Abbey, Jane Austen's parody of the Gothic novel, the heroine is a fervent reader of Gothic tales and "horrid" novels. During a conversation with a friend she notes down the books next on her reading list. For many years critics assumed that Austen had invented these Gothic titles in order to satirize the genre. 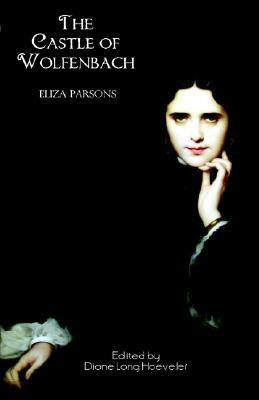 However, research carried out in the early twentieth century revealed that these books did in fact exist and had been published by Minerva Press, a late eighteenth, early nineteenth century publishing house noted for its sentimental and Gothic fiction. Attempts were then made to find and republish the stories. The reason why these novels were so difficult to identify was due to how books in the late eighteenth and early nineteenth century were published and circulated. At the time very few people could afford to buy their own copies of books, so they subscribed to circulating libraries. These books were often printed on cheap material and over time passed through many different hands, so they were easily discarded and destroyed. In addition books were divided into separate volumes, enabling a number of readers to read the same novel at the same time. Unfortunately this made it more difficult for researchers to locate the entire novel at a later date. Luckily these books have now been republished and are listed below. A lecherous uncle forces Matilda Weimar to flee her home and to seek refuge in a haunted castle, the ancient Castle of Wolfenbach. There she learns the terrifying secret of the missing Countess. Madeline lives with her reclusive and secretive father Clermont. When Madeline goes to stay with an old family friend, the Countess de Merville, she and the Countess are attacked in a ghostly crypt and later a sinister stranger appears threatening to reveal Clermont's past if Madeline does not marry him. Whilst avoiding her pursuers, Madeline must solve the mystery of her father's past and win the heart of her true love De Sevignie. When Count Renaud dies he makes his son Rhodophil his heir, disinheriting his older son Ferdinand who married without his permission. Rhodophil promises to share his riches with Ferdinand but when Ferdinand hears a ghostly warning he runs away. During his adventures he meets a recluse in a ruined castle, he is imprisoned by the Turkish army and has an encounter with the depraved Fatima. He must then return to Castle Renaud to discover the haunting truth of his wife and brother. The Necromancer is a series of interconnected stories set in the Black Forest, each featuring the enigmatic character Volkert the Necromancer. It has been described as one of the strangest horror novels ever written. It was translated by Peter Teuthold but the English translation is said to substantially differ from the original German. When Alphonsus finds his mother covered in blood, she tells him that his uncle has murdered his father and that he must run away and never return to Cohenburg castle. Alphonsus becomes a soldier, a miner and then a church sacristan and settles down to domestic life with his wife Lauretta. However Lauretta is kidnapped by a group a ruffians and as he tries to solve the mystery of his wife's disappearance he learns about the ghost of Cohenburg castle, that tolls the bell each night at midnight. Julie de Rubine has been seduced and betrayed by the man she thought was her husband, and has been left to look after their infant son Enrico and an orphan girl Laurette. When Laurette is older she is determined to solve the mystery of her parentage but in the mean time a sinister monk warns her to avoid the Marchese de Montferrat. But when Julie is kidnapped by banditti Laurette is taken to de Montferrat's gloomy castle. Translated by Peter Will, The Horrid Mysteries deals with the terror and intrigues of an Illuminati type secret society that advocates murder and violence. The hero of the story the Marquis of Grosse travels throughout Europe trying to to destroy their conspiracy and battle their evil.